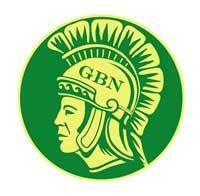 GBN is pleased to host you and your team at our indoor facility. Our track is 160 meters per lap (10 laps to mile) with eight lanes 42” wide on the straight and five lanes 42” wide on the curve. The long jump board is 9 feet from the pit and the triple jump boards are 20, 24, 28, 32, 36, or 40 feet for the athletes to choose from. In events where heats are to be held, the first heat will contain your fastest runner. All other heats will be filled randomly until everyone has had their opportunity to compete.